Excellent watch good leather strap and striking face detail. Whats more a 5 year guarantee, cannot go wrong with that. Superb item in every way, excellent quality, easy to wear and always stylish whatever the occasion. Great service: ordered 5 days before Christmas, delivered the next day, as promised. What could be better? The watch is lovely and as expected. Very please with the watch and the service given. I was most impressed with the easy ordering and tracking service, also speedy delivery. Delighted with the watch and as it is for an 18th birthday present waiting to hopefully getting a good response. Very smart watch Delivery and service very good. I would write a useful review but my husband cant open his Christmas present until Christmas day. All I can say is that Im anticipating itll be a nice watch! Watch looks great, arrived on time and well packed. Excellent choice for small wrist. Very nice watch - completely happy. Nice little watch, a lot smaller than I thought it would be. The watch stem is very small which can make it difficult to set the date/time given its clockwise / anti-clockwise function, but overall for the price beats John Lewis! if you want a simple small watch with no frills as well as no battery via Eco-Drive go for this one!!!! An attractive watch well suited to smaller wrists. For the price it looks quite bit more pricey. Only downsides are the waterproofing isnt great and the day/date is a bit fiddly to set, plus its a 31 day date so needs adjusting from time to time. I wanted a watch that looks equally at home with casual clothes, as with a suit or dinner jacket. I wanted an uncluttered face, with elegant simplicity, that was easy to read. I wanted a light-weight, comfortable, traditional-looking watch that didnt look as if Id inherited it from my Grandfather. I wanted the low maintenance of a solar-powered watch. I got all this with the Mens Citizen Eco-Drive BM8240-03E. The only slight niggle concerns the crown and adjustment. The crown is very small, and the adjustment is delicate and fiddly. Bought as a gift, very happy with the watch and so was the recipient. I was also very happy with the service which was super efficient! This is a replacement for my watch which got damaged on a recent fall, it was cheaper to buy a new one than have the old one repaired. However I would not have replaced it with the exact one if I was not completely happy with the watch itself. I love this watch. Thank Watchshop for being cheaper than the manufacturer can repair the old one. I am extremely pleased with my Citizen watch.for the small price involved.the quality and th good time keeping ,is remarkable..thank you also for the speed of return of my purchase. my regards. Alfred. Lovely watch. Bought for christmas for husband. He loves it, especially the no battery feature. 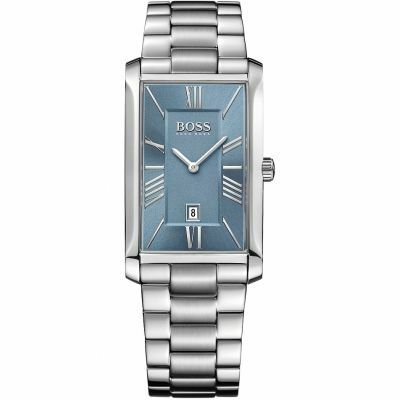 This is an understated, elegant watch that is suitable for most occasions. 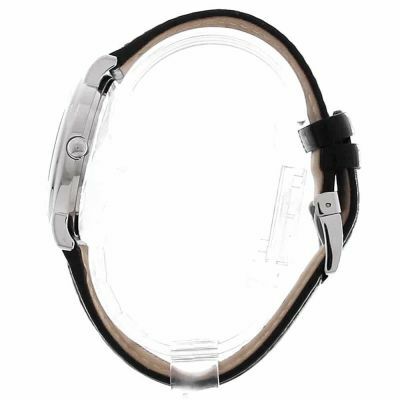 The face is clear and not too large and it also has a comfortable, black leather strap. The watch keeps good time and the fact that it doesnt require batteries is an added bonus. stylish everyday watch classic design perfect for work or going out. Fantastic watch.It is light and pleasant to wear. Easy-to-use. Purchased this watch as a gift. The price was good. The delivery was very prompt. I like it because it is simple and elegant. It has the eco drive element to it which is why I bought it. Really nice and classy watch. Bought for my dad and he loved it. Quick delivery as promised. I am very pleased with my watch. It keeps good time, the instructions for setting it are easy to follow, it looks good and is comfortable to wear. What else do I need it to do? Fabulous watch, equally fabulous service. Very clean timepiece, easy to read at a glance, yet still provides an addition of subtle style suitable for daily wear. Love it! Treated myself to this Eco-Drive watch after my trusty 8 year old Baby-G died. 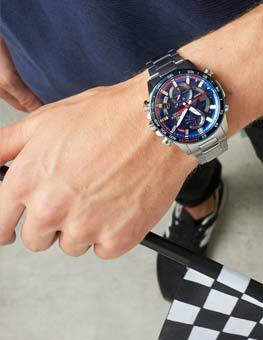 I am a woman but wanted a masculine looking watch. At around 33mm wide, the face is not too big unlike some of the other mens Citizen watches so looks good on my slender wrist. The leather strap is top quality and a good fit for me - I imagine it might be too short for chunkier and more manly wrists though - . All in all, a lovely watch which I hope will serve me well for years to come. 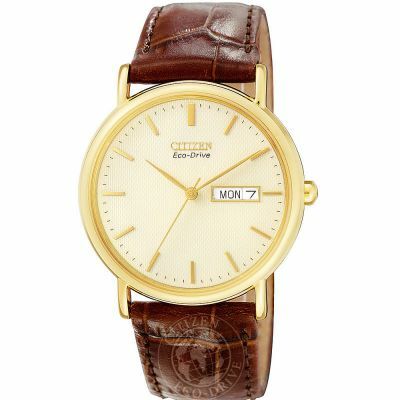 I think this is a very simple classic style watch which I know my brother will love. The eco drive feature is very appealing as you never have to wind it or get a new battery. Very eco friendly. I bought this watch for my brother as a 50th Birthday present. Arived with the blistering speed that weve come to expect from watchshop and Im totally blown away by this lovely watch. The beautiful smooth bezel of this eco-drive watch made my choice a well worth one ! Super comfortable leather watch strap means after only a few minutes you hardly know your wearing a timepiece ! Overall a lovely timepiece to wear, appreciate & tell the time and date by, a true bargain from watchshop ! Very good watch just what I was looking for work nice simple does what I need even thinking about getting another one to wear out out. The price I think is very reasonable for such an advanced watch with the Eco drive so dont have to worry about replacing the battery. Overall very happy with this purchase. 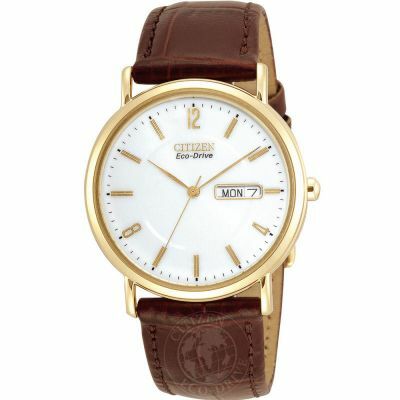 Classic looking watch for everyday wear. Eco drive so no battery problems. Nice leather strap. Also day and date function. Looks more expensive than it was. This isnt going to go out of style. watch is exactly as described, good looking watch with nice leather strap. watch looks good on wrist and well worth the price paid. The watch is working well. My only comment is that the crown is smooth which makes adjusting the time, date and day more difficult than it would be if the crown were grooved. My husband was extremely pleased with his watch. He has had some compliments about how it looks too. recommend Watch Shop to my friends and family. Nice watch hopefully will not let me down when battery runs out, my first try at an EcoDrive watch but as it made by Citizen and has a 5 year guarantee it should be fine. Watch face is good and easy to read. Fantastic value for money. Very classy look. Easily read dial. Lovely watch with nice clear face. A smart strap. Husband very please with his gift. Plus bonus of self charging battery. This was bought as a Christmas gift for my son. I chose it because it had a smart, clear, stylish face that didnt appear to be too big. Not requiring a battery was an added attraction. I was really pleased when it arrived and glad I chose it as this is a quality item and looks even better in real life. I hope he likes it too. Just bought this for my Dad for xmas, its a lovely stylish design for someone who isnt fussed about labels/expense. Very pleased. Lovely looking watch, clear and easy to read face. Quality leather strap. Would definitely recommend. This was bought as a gift and the recipient was delighted with it. First class service from Watch Shop. 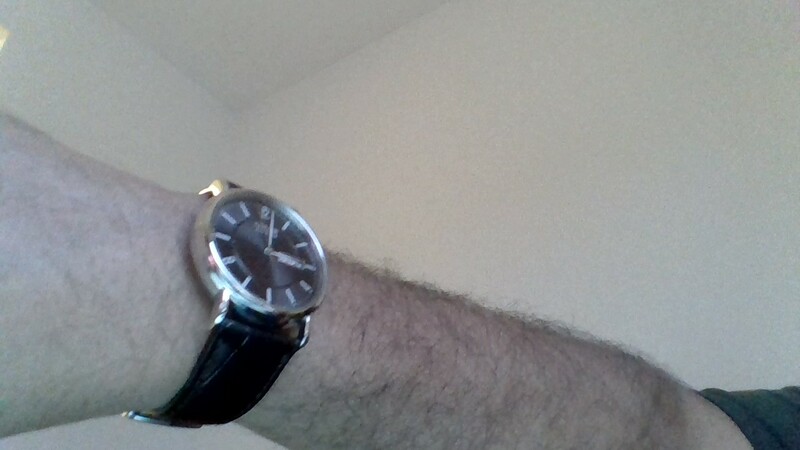 The watch is the perfect size for my partner who has quite small wrists. I am impressed that there is such a large range of sizes in these watches and I was able to pick out just the right one. The watch itself has a lovely clear face and is easy to read. the watch was perfectly as described, only one negative point is that I underestimated the size of the watch and would consider it too be a bit small on my wrist. I wanted a watch to wear every day. It had to be manly and at he same time stylish. I am used to the big expensve chunky watches with all sorts of dials I never managed to work out and so didnt use.. I also spent a fortune on batteries so the eco watch is definitely for me. Plain and simple look, eco technology, good price, this watch certainly fits the bill. Very pleased with my purchase. Very stylish watch, not overly large or heavy and feels very comfortable. The black face and bevel catch the light really nicely and give it a premium feel. the most minor details but I dont like the crown very much, very rounded like a button. this is such a minor thing and a preference not a fault. The crown is small 84-year old fingers have difficulty turning it. The watch looks great and very sophisticated. The beauty is in its simplicity and clear message it gives. Highly recommended! Superb service in every respect from this Company. Excellent packaging to enable to present as a gift. The watch face is clear very modern, and the strap will fit all sizes. The nice fact is the no longer having to consider purchasing a new battery every 18 months or so. This watch was bought as gift. It has a great look with a really good quality leather strap. The features on the watch really fit the bill and represent excellent value. The packaging and presentation also made it a great present. Very pleased with this purchase. Its a pretty cool watch！I like it! The quality of the watch is much better than I thought. Packing is perfect! I do believe I with purches other watches for my friend! A stylish watch with a slightly unusual face. I am very happy with the watch and the service received with the watch arriving within one day of order. The watch looks even better than the pictures which dont quite do it justice. Only negative was the stiff leather strap, would have preferred something softer. The crown is a bit fiddly but works fine if you just turn it slowly. Very pleased with the look of this watch. Excellent website lovely watch, just as described. Helpful information and very fast delivery. Watch is a present and I was worried about buying it form a web site, however pictures and 3D view really helped and watch is perfect. Second purchase from Watch Shop will buy from site again in the future. 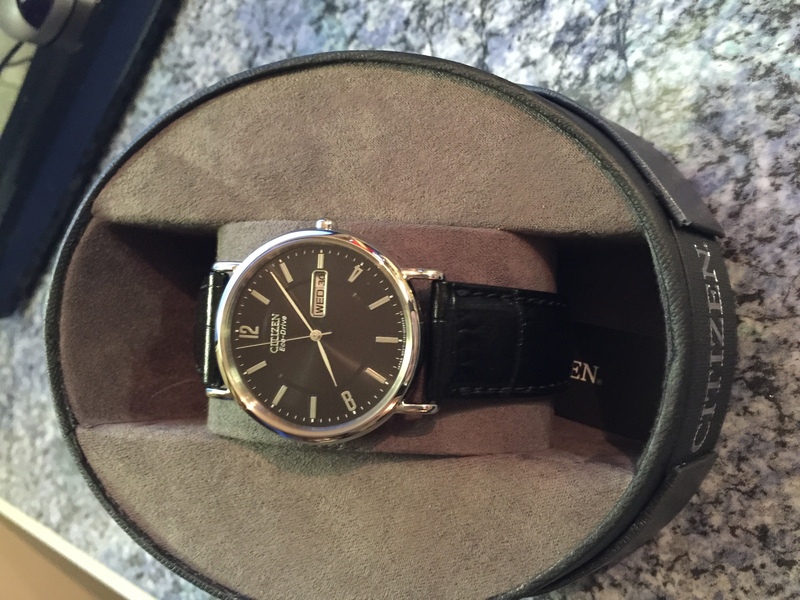 Great looking watch at a great price well packaged and presented in a lovely gift box . Fast, free special delivery post arrived exactly when specified. Item was received promptly and good communication. Package has been delivered to a different address so have yet to pick it up and check the contents. This watch is completely amazing and stylish!! Looks as good as it does on the website. Love the leather strap. Its elegant and understated. Definitely a timeless piece. Have no regrets buying this watch. This is a fairly simple watch - one dial with day and date display - that is in my opinion well suited to those with simple needs. It has an elegant and understated style that is very good to look at, and would be particularly suited to men with smaller wrists I have a 6 wrist due to its size. The leather strap appears to be of good quality, although I had to punch an additional hole as the tightest notch setting was still too loose. - Good quality strap feels like it will last, it is stiff for the first few weeks like you expect good leather to be. 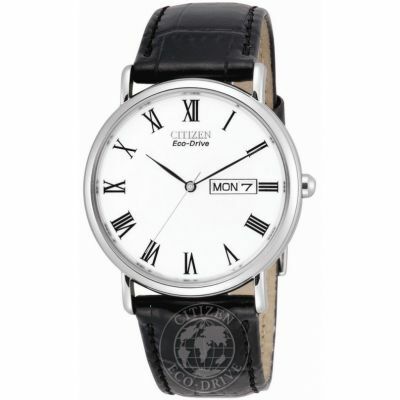 - smaller face 36mm well suited to men with smaller wrists or generally as a dress watch. - the second hand is not well aligned with the markings, this is made more obvious by the hands thinness. However this is apparently unavoidable with most quartz watches. - No lume on the hands means some light is always needed to read the watch. The hands and face marks are quite reflective however, so even under dim street lighting its not a problem. - Probably not well suited for wearing during sports. This watch keeps excellent time, is really good looking, shows the date and day clearly. The only downside is that it is fiddly to adjust but as this is very often, I wouldnt let this put you off. The strap was a perfect fit for my husband who is delighted with his present. I bought this watch because I had previously had one and unfortunately lost it. It is an excellent product - environmentally friendly no battery, slim and light, with a clear face. The strap is excellent quality. An excellent value for money watch for everyday wear. It has a nice black leather strap and a clear to read black face with a second hand and shows day and date. I like a pretty much a watch I bought from Watch shop and I'm very happy with it! What a great buy! A beautiful watch with no need to batteries EVER! Extremely pleased with the purchase. Splendid product. It has what I was looking for in a watch -a clear dial, showing time, day, date. It seems supremely accurate (against GMT) and the everlasting ecodrive is a superb developement. A superb watch, the only slight problem being the very small and smooth date and time adjuster, but with a little practice this was mastered. A very nice looking watch. Excellent watch excellent prompt service,good value.Good service form the watch shop.I was a pleasure to do business with you. I bought this watch as a second watch that I could wear to work, take on holiday etc. 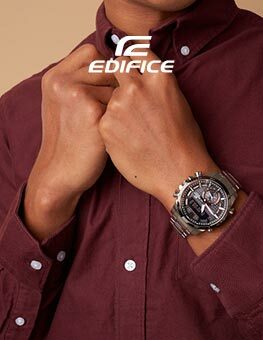 Very stylish, good looking and of course being Eco Drive, will never need a new battery. The watch itself is very light and slimline meaning it slips nicely under the cuff of your shirt. That said there are a couple of negatives in my opinion. The watch is only splash resistant and therefore can't be worn whilst swimming. Also you can't read the watch in the dark as the hands are not luminous. However these are merely small annoyances that I can put up with due to the overall good looks of the watch. Annoyances notwithstanding I'd still recommend this smart little timepiece. Bought this watch as hubby's birthday present. He loves it! The watch face is elegantly designed with the unusual marking of number 4, 8 and 12, yet easy to read the time with a fleeting glimpse. Since he only had the watch for a couple of weeks, so we can't comment on how well the watch keeps the time, also if the leather strap is durable. Since Citizen is a reputable watchmaker, we're optimistic that the watch won't disappoint us. I bought the Citizen Eco Drive watch as a retirement gift, and have had nothing but positive views from the indiviual about his new watch, Excellent buy at an excellent price! I bought this as a wedding anniversary gift for my husband and he was thrilled. We both loved the black and silver design with a very clear face. Obviously the Eco-Drive is a plus. 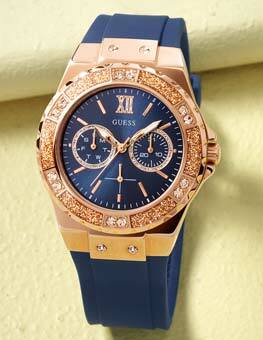 fabolous watch with great servce and superfast delivery. I bought it for my dad. I hope he will admire it too. A really lovely watch - stylish, but understated - you can have the days of the week in Spanish, French and German as well as English. Who could ask for more? 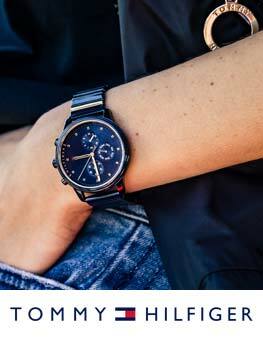 Good looking clean watch that requires no battery changes or winding due to clever solar technology. Very accurate and so far faultless reliability. Would recommend. Bought this watch to replace my ageing Seiko. Wanted a slim and light watch. Very impressed. 8mm thick , light and looks good. First class delivery from Watch Shop. Ordered on the 29th of Sept arrived on the ist of Oct. The Eco-Drive is a bonus. No more batteries to buy !! nice watch .classical view, 2 days delivery.. i liked it.. looking very expencive and ellegant ..
ordered this watch @ 11.45 am.arrived the following morning @ 10.30 am.i like the simple design.i have poor eyesight but find the dial easy to see,also easy to set.great service from you.well informed about my order.could not be better.i will certainly come back to you again.thank you.exellent. I like the simple design, although the crown is fiddly to adjust but not something you would need to do often. I like the thought of never having to think about a new battery. Excellent service - ordered on Thursday evening and delivered Saturday morning.